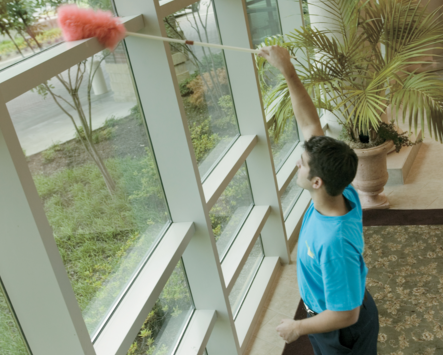 ServiceMaster is Your Local Solution to Post-Construction and New Tenant Cleaning. At ServiceMaster, our post-construction cleaning crews, armed with an arsenal of state-of-the-art cleaning equipment and airscrubbers, can have an office, home, or industrial facility ready to go in a matter of days or hours. We work with construction companies, property managers, and property owners to clean any facility before it is turned over to a new owner or tenant. We clean carpets, wash floors and walls, remove construction debris and dust, wash windows, wax floors, power-wash cement walkways and entryways, and any other activity needed to have the home or business looking brand new.